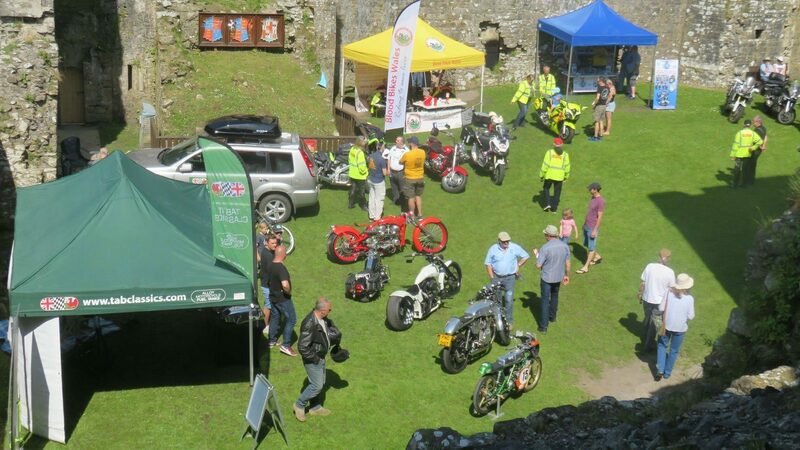 We had a very enjoyable bank holiday Monday at the Carew Castle Classic Car (and Bike) Show. A medieval castle was a somewhat surreal venue to demonstrate our range of cafe racer and custom tanks but somehow it seemed to work. Special thanks to Stuart for bringing along the Indian with our tanks as well as a few of his other “little” projects. We also had Steve Porter’s brilliant little Kreidler and our Mark’s SR500 Cafe Racer (which incidentally is for sale). Thank you to Carew Castle and Tidal Mill for inviting us, and to West Wales Aqua Blasting for making us feel so welcome.